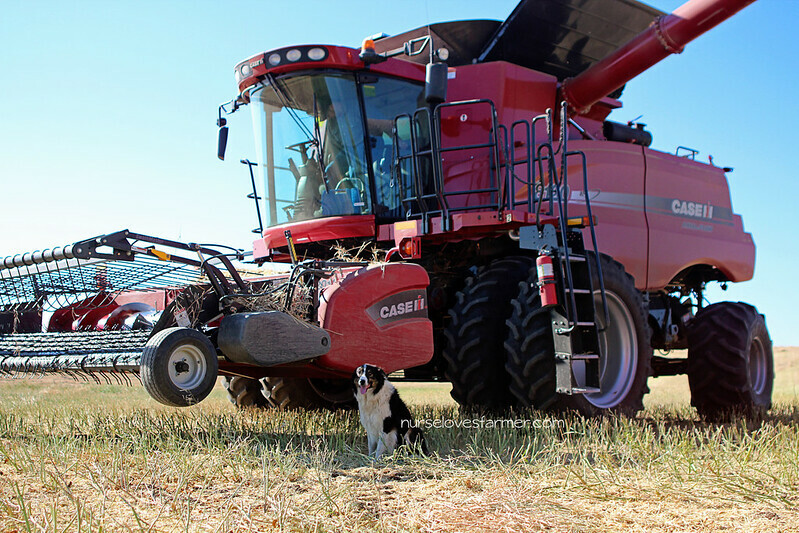 Here I had been saving my harvest photos for Catch the Moment…and I have a gazillion + 2 harvest photos! SO I’m going to have to break this up a bit or it will take until next Tuesday for my blog to load on your computer (which it still might, sorry!) with all the harvest pictures I’d have to post! 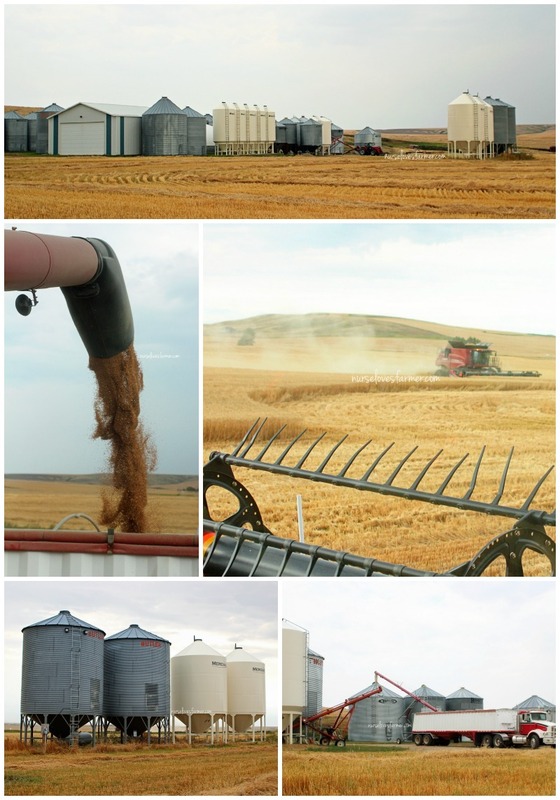 These are the pictures of our harvest people, some animals, and the combines hard at work! It was so dark and gloomy when harvest started in August! And dusty…the dust continued right on through to the end. It was so awesome to have our brother-in-law Craig home to help for harvest. Not only can he run all the equipment, he can fix it too! 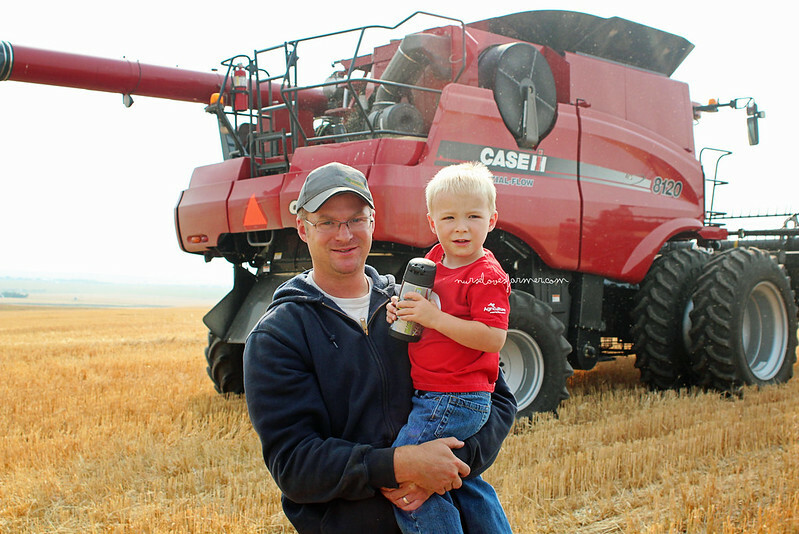 This year marked the first year ever on our farm that we had two combines running. It sure helped get the crops off fast, what blessing. 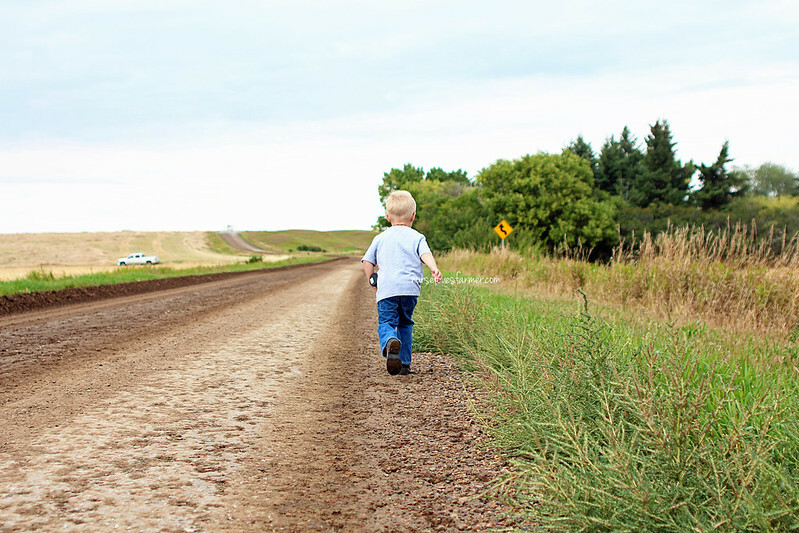 Braden was very into his combine rides this year. 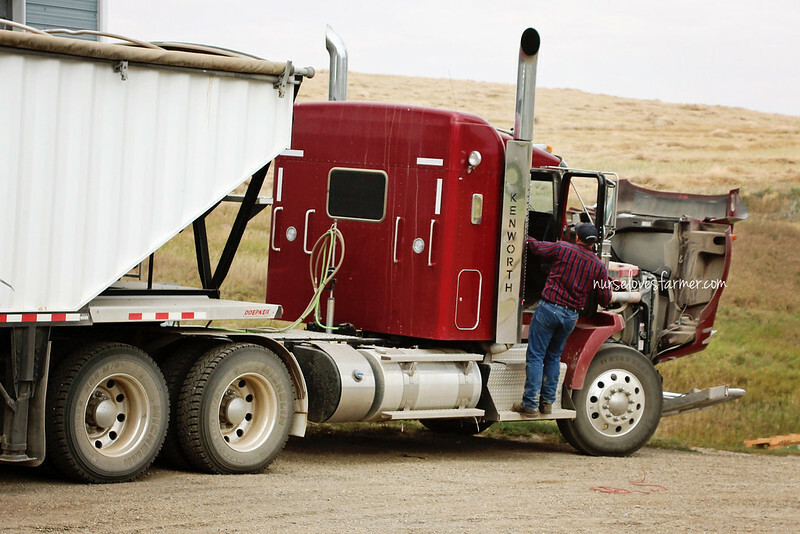 Combines, trucks – anything! Just take me for a ride! This is more of our harvest crew. Jay, Travis, Joy, Craig, and some of the kids. Braden is wearing an Ag More Than Ever shirt. 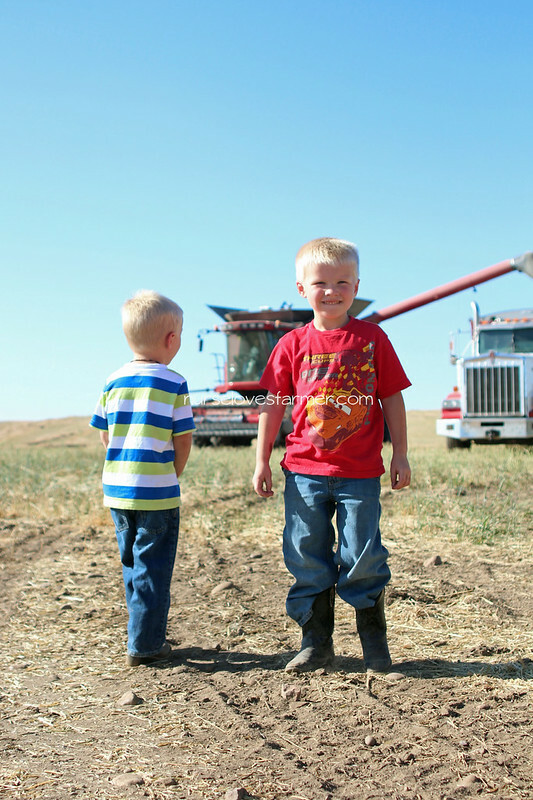 Two future farmers…very excited and loving harvest time! Braden and his cousin Luke. 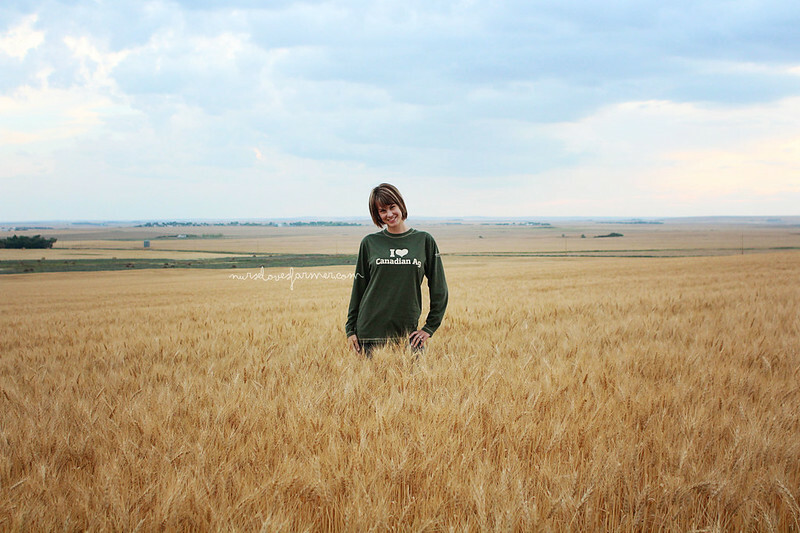 I’m never in harvest pictures, because I take the harvest pictures! More to come! Such precious photos. 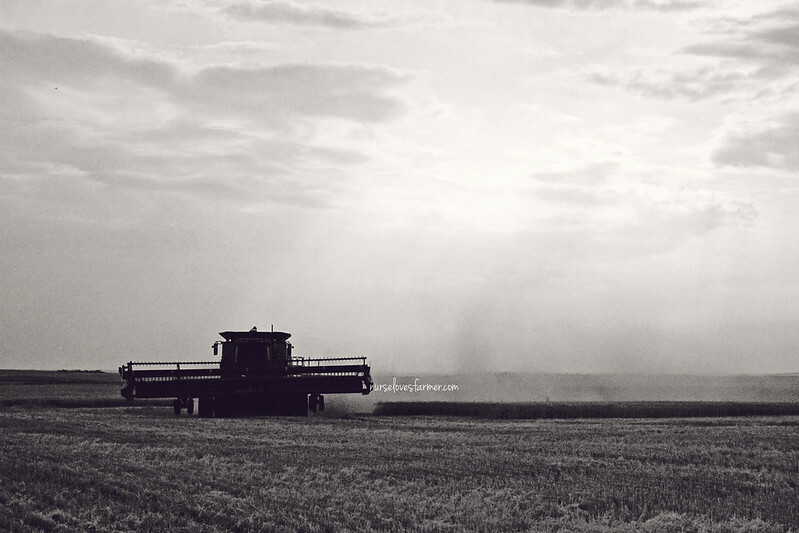 I don't know a thing about farming or harvest, but I love looking at your photos of it! Well I'm aiming to give a glimpse into agriculture and food production, happy to share this part of our life. 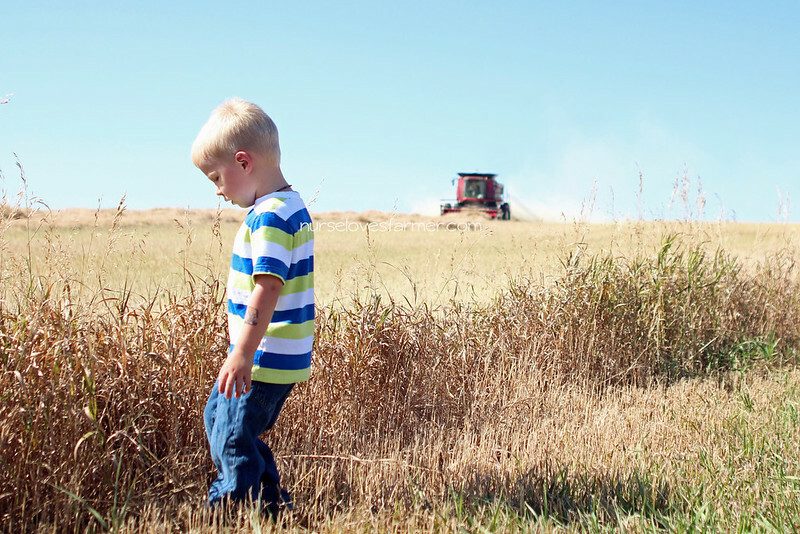 wow…how fun for little boys to grow up on a farm…these pics are awesome! Yes these little boys are very blessed, especially to grow up with all but one of their cousins so close! 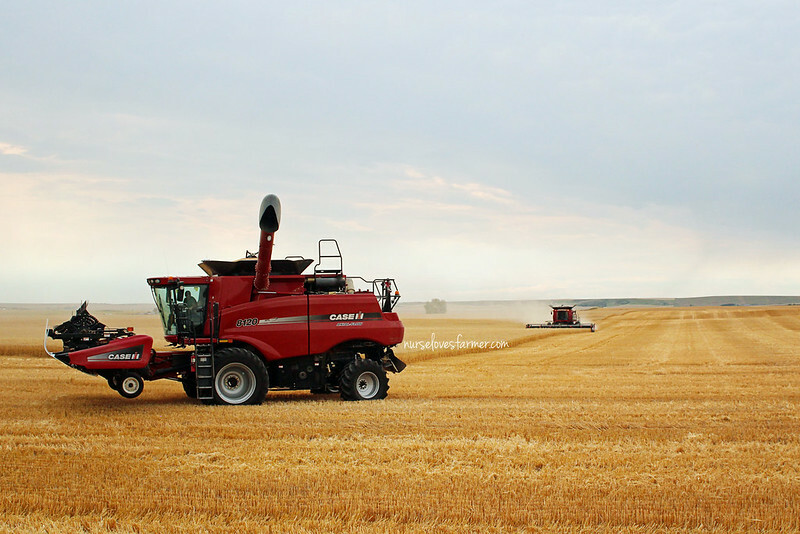 I love the harvest pics! Takes me back to my childhood. I was just like Braden! I loved riding with the trucker! 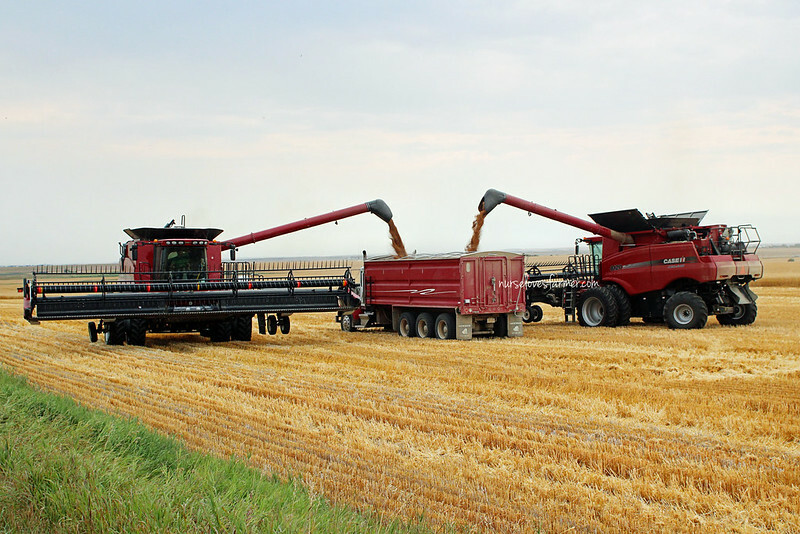 We didn't have cabs (never mind A/C, GPS, computers, radios, etc) so a combine ride was OUT! I wish I could go back in time and see what harvest was like then. 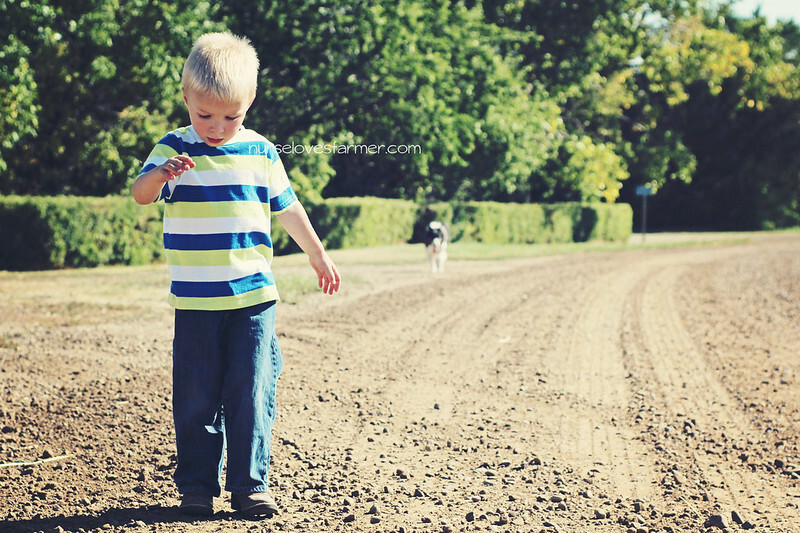 Love love love looking at your harvest pictures! I really enjoy them! Thank you so much, they're my favorite pictures to take!